Hi everyone, today I have a super quick and easy dessert recipe that’s been blowing on Instagram lately. Only two ingredients and it takes 5 minutes to make. I’ve made it last night for some friends that came over and le boyfriend took the rest to his office and it was a hit! So if you are looking to make something easy and a party pleaser then this is the recipe for you. 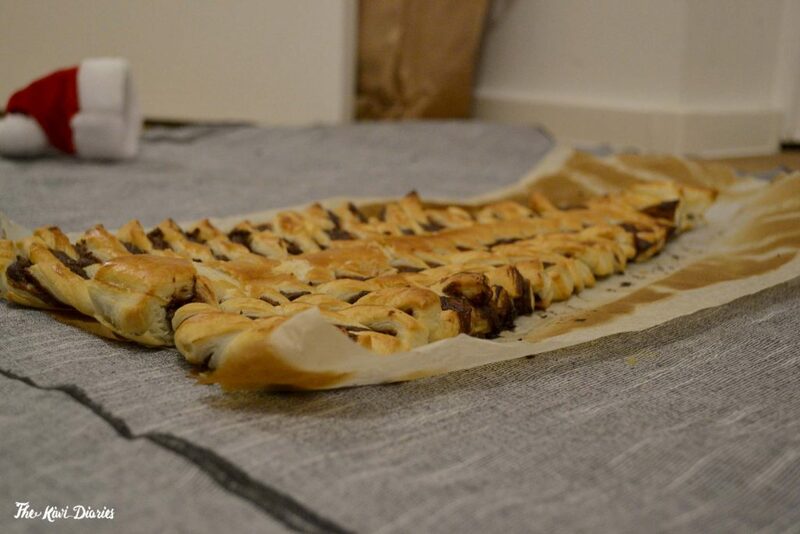 Preheat your oven to 200C or to what ever the pack of your puff pastry said. 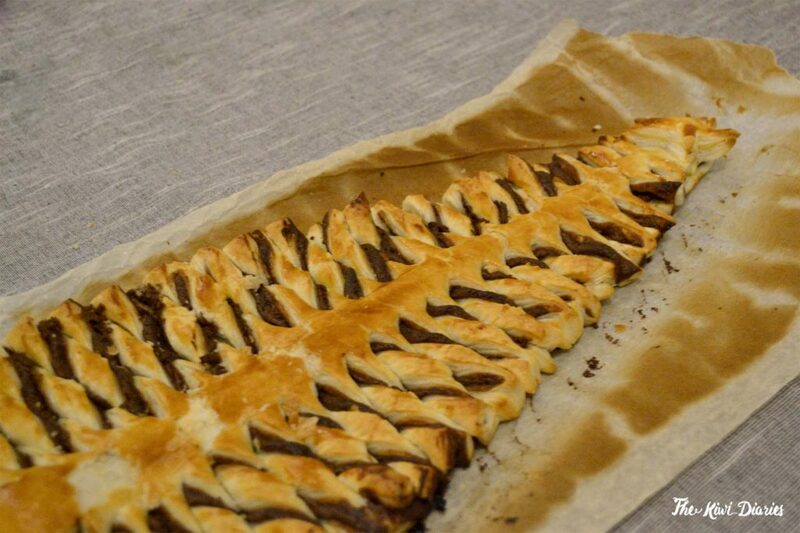 After doing this grab a spoonful of Nutella or chocolate spread and spread all over your pastry triangle. Then grab your other pastry sheet, place it on top and cut the excess to from a triangle. You can use the excess pastry to cut a star to the top and check the bottom of the recipe to see other ways to use this excess pastry. And done! Couldn’t have been easier. Also, DON”T THROW AWAY YOUR EXCESS PASTRY! you can re use it…. 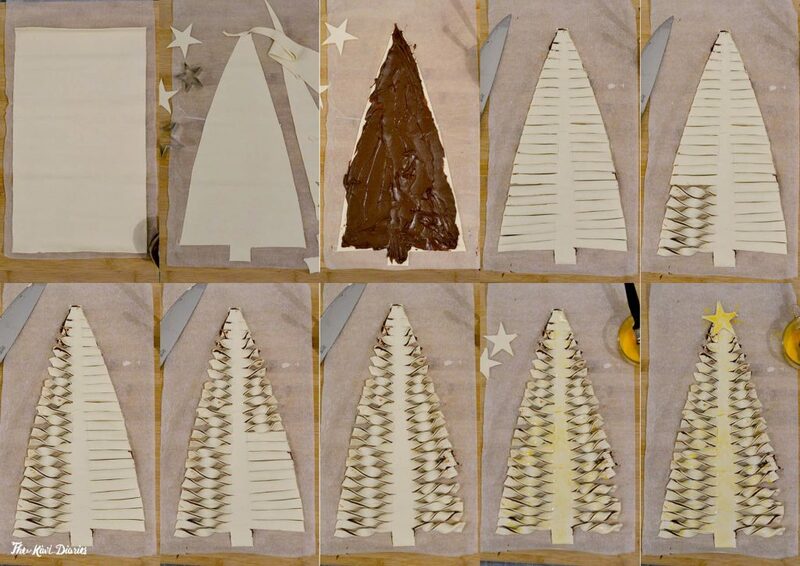 you can cut more stars, fill them with chocolate spread and bake them, or do extra twists. There is no need to throw them. One of our friends told me that if we wanted to take it to the next level we should add a layer of Dulce de Leche (Caramel) to it.. or just make the whole thing with caramel. It sounds amazing so we should try it some time.